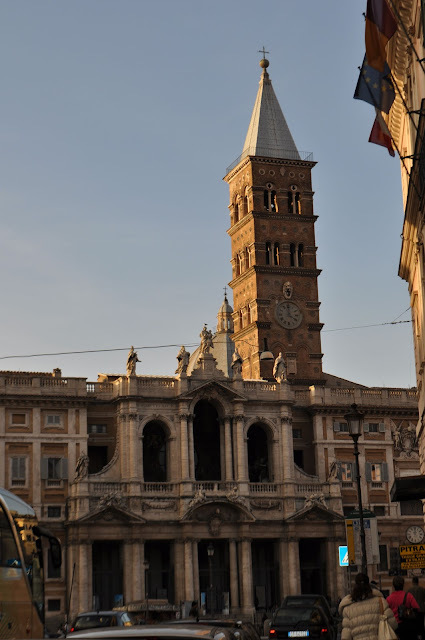 Today's Lenten station church in Rome is one of the major basilicas - S. Maria Maggiore (St. Mary Major or Our Lady of the Snows). Legend has it that back in the 4th century, the pope was prompted by a dream to build a basilica on the Esquiline Hill. The dream included a vision of the Blessed Mother who asked that a basilica be built where she indicated. The next day snow fell on the hill (in August) and thus, the basilica was erected on that spot. It is known as St. Mary Major because it is the principal church in Rome dedicated to our Lady. One of the features of the basilica is the relic of the crib of Christ's Nativity. 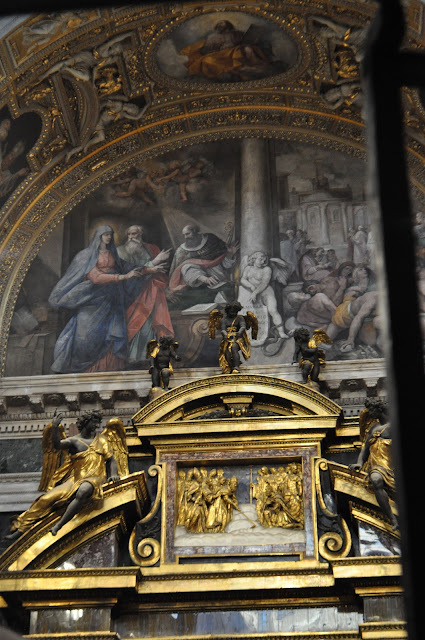 Another lesser known fact is that the remains of St. Jerome and St. Matthias lie beneath the main altar. When I came across this information in Rome last November, Fr. Tim, our tour guide was skeptical. 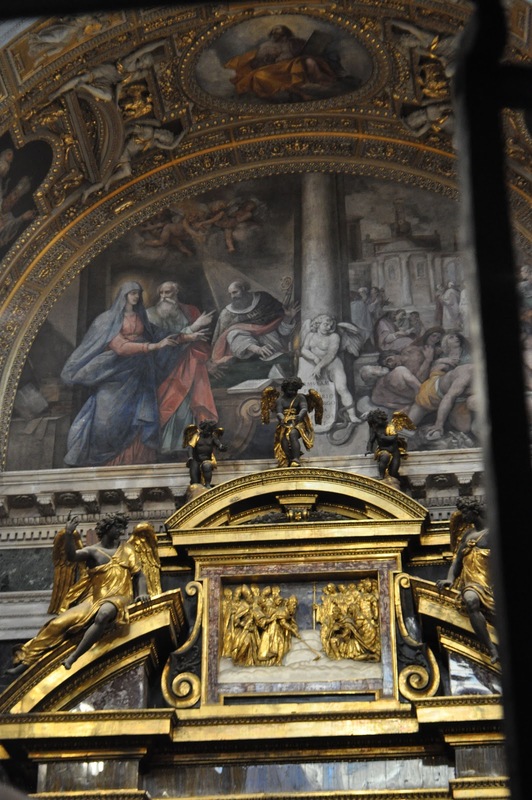 He had been to Rome many times previously, but had never heard that these two saints were resting in St. Mary Major. We tracked down one of the basilica's priests who was finishing up after a baptism, and he confirmed that yes, indeed, St. Jerome and St. Matthias' earthly remains were there. 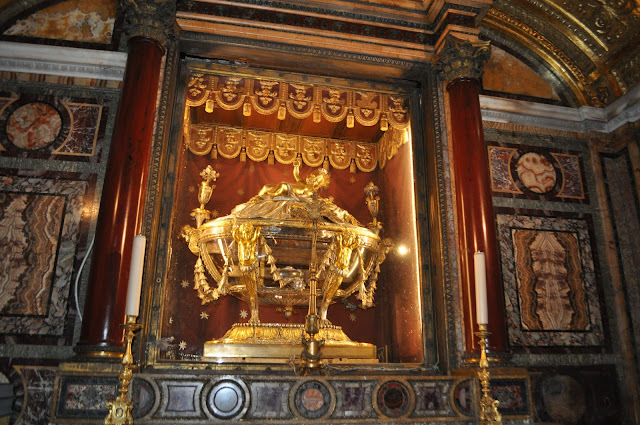 Subsequent research indicated that some of St. Matthais' relics were kept at a church in Trier, Germany and some were in Rome.